Použitá stříbrná mince kanadský Javorový list 1 oz The remarkable Canadian Silver Maple Leaf is a silver bullion coin issued annually by the Canadian government. 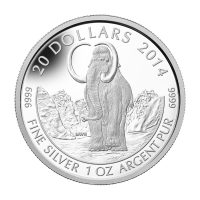 Since 1988 these silver coins have been minted by the Royal Canadian Mint (RCM). At 5 Canadian dollars, the official legal tender face value of this 1 oz coin is the highest among silver bullion coins. 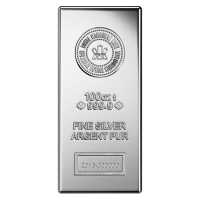 The coins purity is guaranteed at 9999 pure silver, also among the highest purities which have a standard of 999. 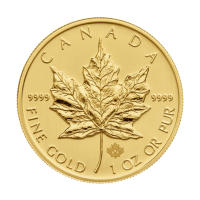 Featuring the iconic maple leaf symbol, the coin is guaranteed a weight of 1 troy ounce (31.1 g) of silver. The Royal Canadian Mint often issues variations on the standard coin by applying slight design changes such as colouring or privy marks. 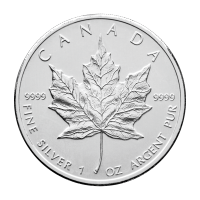 The mark "Fine Silver 1 oz Argent Pur" is a hallmark of all Canadian Silver Maple Leaf coins. The obverse sports the effigy of Queen Elizabeth II. Three different versions exist; a young head, old head and older head. The issuing year and 5 dollar face value is also displayed. The reverse depicts the maple leaf. On special releases a privy mark or colouring may be visible. 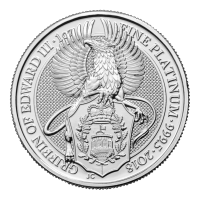 The Silver Maple was the first coin to depict the new image of the Queen. 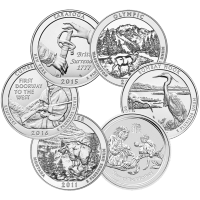 These silver coins make perfect gifts - a symbol of Canadian identity and one of the most recognized silver bullion coins worldwide. 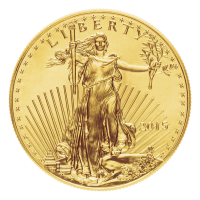 With among the lowest mintage of any silver coin in North America it will remain in high demand for decades to come.